Girl's Friend: "Hitler doesn't walk like anything, he's dead." Girl: "My parents are afraid of the people in Hot Topic." Kids do say the darndest things after all. I got to sit down and start writing only yesterday, and I just didn't feel like working on anything that had any pressure attached, so I did a couple of fluff pieces. But they were fun. Apologies to anybody who has already been repeatedly subject to these links via myspace or Twitter. All in all, it was a good week. An encouraging week. One of those weeks where you think to yourself, "Okay, I'm not crazy for trying to follow my dreams for a living, it just may work after all!" Progress is slow, but it's certainly progress. In that spirit of moving on and not quitting, let's move on to Friday Night Videos. Otherwise known as "Hammer Time" this week. First up is an opus of epic proportions. So large that I dare not embed it. (Plus, embedding on this one has been disabled.) If you want to skip the part with James Brown, though I can't imagine why you would, skip ahead to the 4 minute mark. I want to be the backup singer that sings those two high notes over and over and over all the way through. 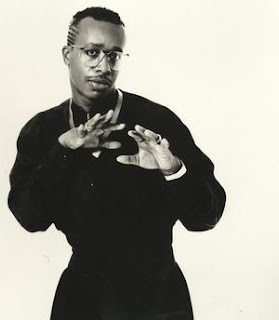 I would fully support a Hammer comeback if he came back old school with the same act as before, and didn't try to come out as a gangster rapper. Again. Man I loved that movie when I was a kid. I call for more prayer-friendly rap. How about you? Happy Valentine's Day! Nothing says, "I Love You" like a little time with M.C. Hammer.